Notes: keeper of Gloucester Castle. Notes: Knighted 1604. Sheriff of Essex. Of North Ockenden, Essex. Notes: Sir John Maclean in "Memoirs of the Family of Poyntz" has put together an good story of how Gabriel Poyntz gave his estate to Catherine's husband, against the daughters of his son. But those daughters got it eventually as Catherine's line died out. The Essex visitations refer to her as "daugh. and sole heire". 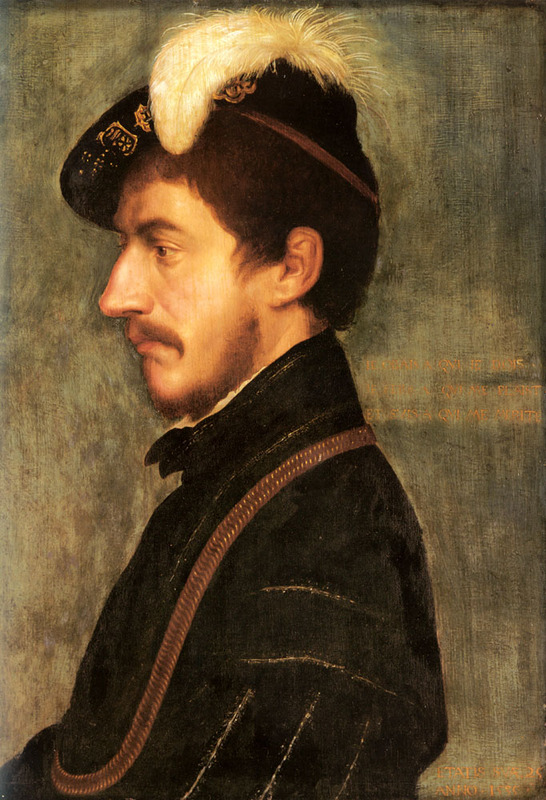 Her son James Morris who took the name of Poyntz and was knighted as such by James I. Notes: 1st s. dspm. Lawyer. Of North Okenden, Essex and Gray's Inn. Notes: her husband was M.P. for the City of London ABT 1586; Alderman of London ABT 1597 and Lord Mayor of London ABT 1598. His will was made 1597. He was an uncle of Sir Richard Saltonstall, a founder of the Massachusetts Bay Colony. of Gloucestershire in 1363. BET 1368 and 1369 High Sherriff of Gloucester. His first wife was heiress of Yazor. Notes: Escheator of Gloucestor, Sheriff of Gloucester 1396. Lord of Iron Acton, Winston, Elkstone, & Acton Ulgar, Gloucester. Notes: Lord of Iron Acton, Tockington, Swell Nympsfield, Wiknston and Elkstone; Escheator for Gloucester in 1424, 1434. Notes: Lord of Elkstone, Gloucestershire. By right of wife, Lord of Over Woolacome & east Ansty (alias Ansty Cruse), Devon. Escheator of Devon, 1460. Notes: he is mentioned in his father Inquisition Post Mortem. He is NOT mentioned as a son of Humphrey in "Burke's Genealogical and Heraldic History of the Landed Gentry." Founded 1836 by John Burke and Sir Bernard Burke, C. B., LL.D. (Ulster King of Armes 1853-1892). Edited by Peter Townend. Eighteenth Edition, Volume One, MCMLXIX (London: Burke's Peerage Limited, 1965), pp. 579-583. Notes: Following William Poyntz' death, his two daughters, including Wilmot, sued their uncle, Nicholas Poyntz, in Chancery for possession Poyntz family property. An abstract of the Chancery suit is included in the published Poyntz Genealogy. The inquisition taken at her death shows that she was in possession of property which she inherited as co-heiress to her grandfather, Humphrey Poyntz. Notes: MP for Exeter 1447. Notes: some sources says that she was dau. of Sir Nicholas and Elizabeth Mill. Notes: Sheriff of Gloucestershire 1469, 1480, 1483, 1484, 1494, and 1500. His first tenure occurred when he was 17 years old. Knighted on Bosworth, immediately after King Richard III was slain, and entertained Henry VII. Made Knight Banneret at the Battle of Redmore by Henry VII. Chancellor to Catalina of Aragon. Notes: sewer to Queen Catalina of Aragon, 1520; Burgess to the House of Commons for the Borough of Devizes, Wiltshire, 1529; Justice of the Peace for Gloucestershire, 1529-1544. His will of 1 Jun 1544, with a codicil added 7 Jun 1544, was proved 11 Dec 1544. Shortly after adding the codicil to his will, he left with the army of Henry VIII for the invasion of France and may have perished in that expedition. Notes: unmarried. Having studied at Oxford, set out for the Catholic university at Louvain. Rudder described him as a 'learned author and a great zealot for the Roman Catholic religion'. Notes: 1607, Marshall of King James I. As a result of serious differences, his wife Anne obtained a divorce on 31 Oct 1613. In 1607, he was described as a marshal unto King James I. He sold all of his property at various times between 5 Nov 1615 and 20 Oct 1617. He was the John Poyntz who was living in Virginia in James Town (city) and with the Corporation thereof. 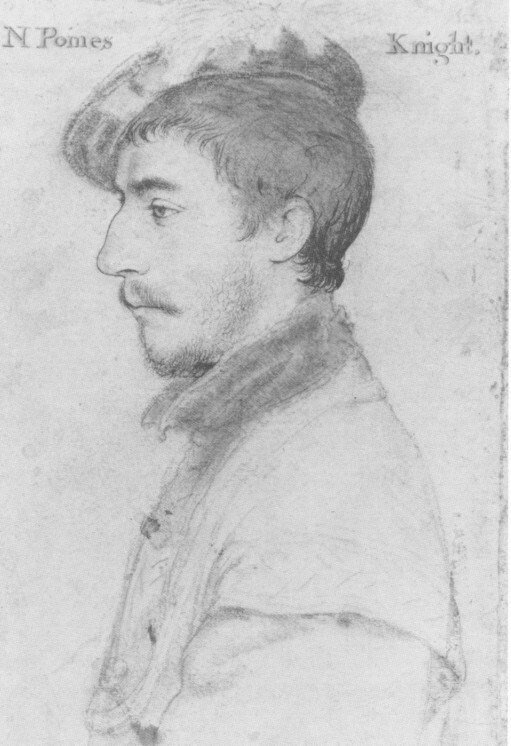 Notes: Born into a minor gentry family at Reigate, Surrey, Poyntz was apprenticed to a London tradesman but ran away to join the Dutch army and became a mercenary soldier. Although he was a Presbyterian, he joined the Imperial Spanish army where he rose to the rank of Major-General. In 1645, Poyntz returned to England and took service with Parliament, replacing Major-General Lambert as commander of the Northern Association army in May 1645. He manoeuvred to block King Charles on his march to join Montrose in Scotland then defeated the King's cavalry at Rowton Heath near Chester in Sep 1645. Poyntz continued to shadow the King's movements until he had driven him back to Oxford in Nov 1645. He then joined Lord Leven and the Covenanters at the siege of Newark. During the disputes between Parliament and the Army in 1647, Presbyterian MPs looked to Poyntz for support against the New Model Army. 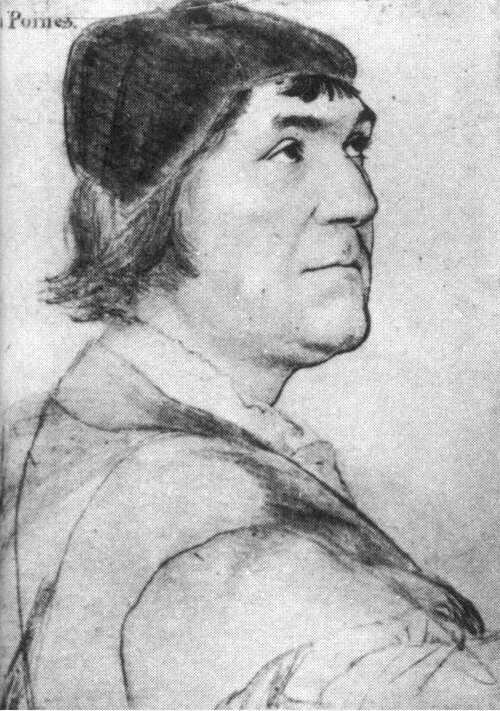 His dealings with the Presbyterians were regarded with suspicion by Fairfax and Cromwell, who suspected he was plotting to take the northern army over to the Scots in the event of an invasion. Agitators from the New Model Army infiltrated the Northern Association and discontented soldiers threatened to mutiny over arrears of pay. In Jul 1647, Poyntz was dragged from his lodgings at York by his mutinous troops and taken as a prisoner to Fairfax's headquarters at Reading. Although Fairfax liberated him immediately, Poyntz was replaced as commander of the Northern Association. He went to London where he became involved with Edward Massey in mobilising the City militia against the New Model. Like other prominent Presbyterians, Poyntz fled abroad when the Army occupied London in Aug 1647. During the Second Civil War, Poyntz supported the King's alliance with the Scottish Engagers. He was commissioned Major-General to the Presbyterian Francis, Lord Willoughby of Parham whom the Prince of Wales appointed commander of Royalist forces in East Anglia. With the defeat of the Engagers at the battle of Preston, however, the projected Royalist uprisings and invasions in England came to nothing. Poyntz sailed with Lord Willoughby to the West Indies where they declared for the King in the English colonies. The Commonwealth responded by sending a force under General-at-Sea George Ayscue, who succeeded in quelling the Royalists in Jan 1652. When Willoughby returned to England, Poyntz proceeded to Virginia, where he died. Notes: 1658 Captain, Royal Navy. 1663 Clerk Controller and Clerk of Revels. Notes: a principle general in Cromwell's army during the Civil War. Newdigate's death took place in battle. He was serving as a captain in the army of King Charles I, and he died at the siege of Gainsborough. His body was moved to his burial place in Benefield County, Northamptonshire, England and was not buried until 20 Aug. Residence: 1628 Benefield, Northhamptonshire, England. Residence: Nunney, Somerset, England. Notes: she had nineteen children with John Newton. Notes: In 1535, the itinerary for King Henry VIII's summer Progress around the West Country was published. When Nicholas Poyntz saw his name on the list for a royal visit, he spared no effort or expense at the chance to impress his king. For nine months, 350 labourers worked to build a magnificent new East Wing on to the existing moated manor house. The apartments were fashionably and lavishly decorated. King Henry VIII and Anne Boleyn were obviously impressed, for Nicholas Poyntz was knighted during their stay. Sheriff of Gloucestershire in 1538 and 1544. Ozleworth House (now called Newark House) was given by Henry VIII to Nicholas, who rebuilt after the Reformation with loot plundered from the Cistercian Abbey of Kingswood. Notes: will of 22 Jun 1585 was proved 15 Feb 1587. Knight of the Bath at the coronation of Queen Elizabeth I, Jan 1559; Burgess to the House of Commons from the Borough of Totnes, Devonshire, 1559; Sheriff of Gloucestershire, 1569-1570, and Knight of the Shire for Gloucester, 1571. Rebuilt the manor of Iron Acton and received Elizabeth I. Notes: rebuilt the manor of Iron Acton in the reign of Charles I, was a friend of John Aubrey. His son Sir John Poyntz, the last of the family, died in 1680 and was buried in church.